Recently I got a question from a medical aspirant – Is it necessary to get up early in the morning to crack exams like NEET or AIIMS? No. Nothing is necessary except your dedication and discipline during the preparation. Morning or night study really doesn’t matter as long as you are achieving your set targets. Study analytical subjects when you’re fresh, after 6-7 hours of sleep. Always revise important points, MCQs before sleeping. Some people suggest that early morning study is always good. The reason could be the calm and freshness, you will have more energy and your brain can absorb things fast. Human brain cells tend to be more receptive in the early hours of the day. You can find yourself completing larger targets within short time in the morning. Study sessions in morning will be more stress free as you have fewer things to bother you. But more important is, when do you feel the most active? You need to identify the right time(s) when you can study well with full concentration. Find out your most productive hours. It depends on person to person. If you remember things effectively and focus better in the evening/night, then you can study at that time. Take a short break after 45–50 minutes of continuous study. Close your eyes for few minutes, have water, etc. Make sure you have 7–8 hours peaceful sleep. Before sleep, do a quick revision of the things you have learned throughout the day. 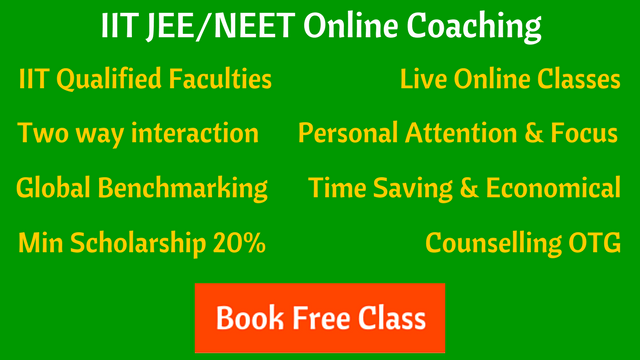 If you are just starting your preparation whether that is for IIT JEE, NEET or any other exam, you can try to study at various times during the day, morning and evening. Soon you’ll get to know the best time to study, that gives you fruitful results. Finally don’t bother about what others (even experts) say, go with your strength and comfort level. As long as you are enjoying studying, solving problems, you are on the right path to achieve your goal.